July 4th is less than a week away! It’s time to start thinking about our plans for the holiday, how we should decorate, what we should cook, and of course… what we should wear! The 4th of July is a celebration of our independence as a nation; a time to spend with family, friends and loved ones. Therefore, it’s important on this day to be as patriotic as possible, so that your guests can share in the festive spirit as well. 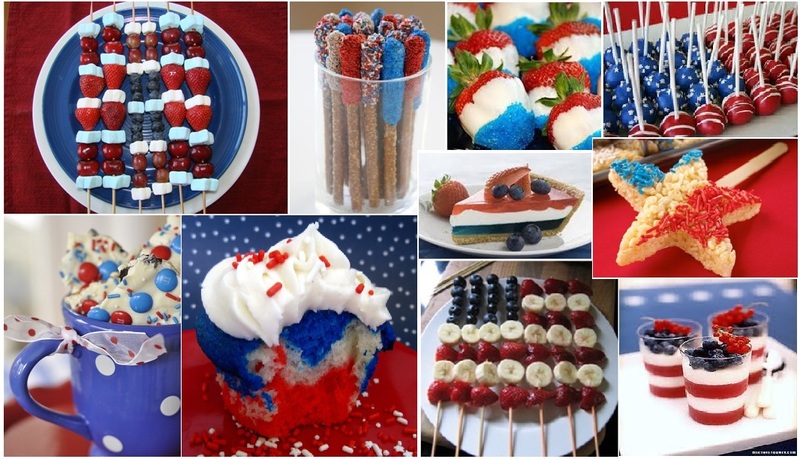 In that light, we’ve come up with some festive ideas to make your holiday gathering a patriotic masterpiece. A good chef knows that presentation can be just as important as the meal itself. 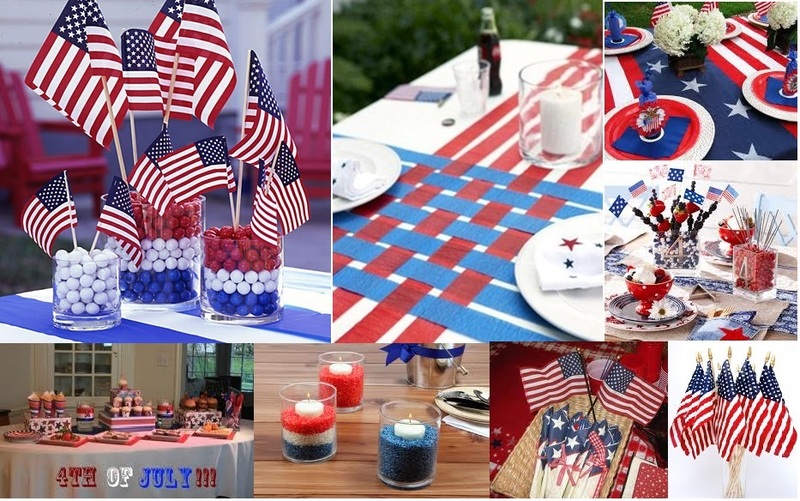 So, with that in mind, here are some ideas for some great, easy decorations for the 4th of July. When choosing what to cook for a special occasion, you have to decide whether or not you want a theme. In this instance, the theme is Red, White and Blue, but you can still get creative with what you make. Of course, the go-to is burgers and hot dogs, but what about some festive treats to go with them? Deciding on the perfect look for your July 4th get-together, you should stick to your theme, but also try to have a little fun with it. 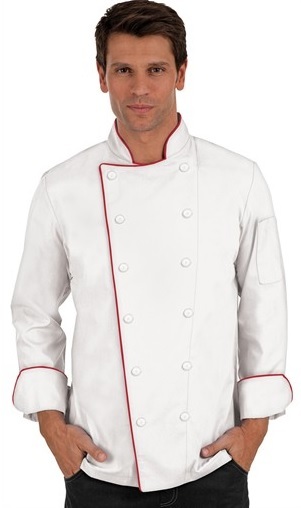 Try ChefUniforms.com Style # 63515, a traditional chef coat in white with red piping, accompanied by a pair of blue jeans to complete the look. Not only will you look festive, but your outfit will also be practical, providing you protection from the harsh flames of the grill. It’s form and function at its best! Do you have some ideas of your own? Post them in the comments below!